The breath is one of the most underrated and under-utilized methods of healing. Breathing comes naturally to us, we do it without thinking, which is why it is not something we generally think of as a way to connect deeply with ourselves, calm our anxieties or even reach higher levels of consciousness. Something as simple as breathing can help those who suffer from severe mental conditions and those who have survived global disasters. There are many forms of breathwork, there is the well-known Holotropic Breathing, made popular by the Iceman himself, Wim Hof. There is another technique known as transformational breathwork and the featured practice of breathing that will be featured in this article, resonant breathing or Coherent Breathing, which is a trademarked term. This specific style of breathwork came from years of studying the ancient breathing practices of indigenous people all over the world including those from African, Hawaiian, and Native American traditions. Assistant clinical professor of psychiatry at New York Medical College, Patricia Gerbarg, studies the technique with her husband, Richard Brown, associate professor of clinical psychiatry at Columbia University College of Physicians and Surgeons. “We wanted to identify a short program that could be given quickly to people, that they would have immediate relief within five or ten minutes, and that over time would produce long-term changes,” Gerbarg told Vice. A study published in the Journal of Alternative and Complementary medicine in 2017 led by researchers from Boston University asked 30 people with major depression to practice the breathing technique regularly as well as Iyengar yoga. After 3 months, results from a standard depression inventory test showed how the depressive symptoms had significantly declined. The breath should be calm and gentle because the goal is to balance the sympathetic — fight or flight with the parasympathetic — rest and digest areas of the nervous system. 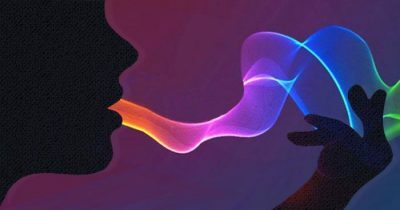 Interestingly, when the couple first began looking into the power of the breath, the first thought was that this must send extra oxygen to the brain that we may have otherwise been lacking. However, they knew that there must be more to this to explain the profound effects they had been seeing in those who practiced the breathing technique. Not to mention, some types of breathwork actually decreases the amount of oxygen going to the brain. Gerbarg and Brown believe that the reason this technique works is thanks to the vagal nerves, those connecting the brain to the body and what tell the organs when to beat, digest, breathe and all other functions, have been found in recent years to send even more messages in the opposite direction from the body to the brain. “These ascending messages strongly influence stress response, emotion and neurohormonal regulatory networks,” stated in a book written by the couple, Yoga Therapy: Theory and Practice. According to Gerbarg, “Respiration is the only autonomic function we can voluntarily control,” it’s easy to see how changing the breathing pattern can shift the messages received by the brain. The calm and even breaths send messages of safety, according to Gerbarg, this can reduce anxious or depressive thoughts and makes way for more loving and connected emotions to be felt. Adverse reactions are generally rare, but those with asthma or other breathing conditions should only try this practice under the guidance of a trained professional. We really do have everything we need inside of us. Our human bodies are magnificent, and if something as simple as breathing can help alleviate symptoms of depression, then we should certainly be studying this more. If you are skeptical about this information and feel it’s too good to be true, give it a shot next time you find yourself feeling down or anxious and see if it helps!